Before he became a mystery writer and reviewer, Brookins was a freelance photographer, a Public Television program director, a Cable TV administrator, and a counselor and faculty member at Metropolitan State University in Saint Paul, Minnesota. He has reviewed mystery fiction for the Saint Paul Pioneer Press and for Mystery Scene Magazine. His reviews appear at Barnes & Noble and Amazon Internet sites, on his own web site, Books n' Bytes, and on the popular news group, DorothyL. Several authors with blogs carry his reviews as well. Brookins is an avid recreational sailor. With his wife and friends he has sailed in many locations across the world. 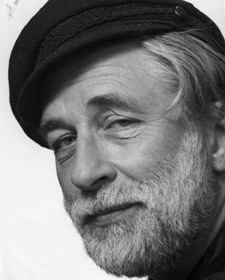 He is a member of Mystery Writers of America, Sisters in Crime, and Private Eye Writers of America. 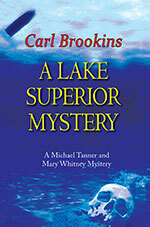 Brookins writes the sailing adventure series featuring Michael Tanner and Mary Whitney, the Sean Sean private investigator detective series, and the Jack Marston academic series. Brookins received a liberal arts degree from the University of Minnesota and studied for a Masters degree in Communications at Michigan State University. He is married with two grown daughters and lives with his wife Jean, a retired publisher and editor in Roseville, Minnesota. When Edie Black's son, Sam, is arrested for murder, Edie calls her cousin, Marjorie Kane, in Minneapolis. Kane, a former exotic dancer, turns immediately to her partner, fellow independent special investigator, Alan Lockem. The pair are successful unlicensed investigators who specialize in unusual projects that appear to require strange solutions. 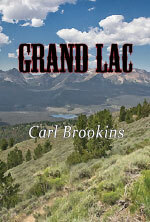 In Grand Lac, Sam Black is accused of murdering a member of a small group of investors who have purchased large lots on a mountain outside of town in northern Idaho. One dark night one of the investors, Jack Ketchum, in a drunken rage, climbed aboard a large bulldozer and carved a raw track down the mountainside destroying vegetation on the property of each of the other owners. Days later his body is discovered in a ravine on the mountain, a bullet hole in his chest. Sam Black is a young local stock day-trader who has stumbled on some shady city officials' illegal activities. His mother, Edie, believes that may be the real reason Sam has been indicted for Ketchum's murder. Alan and Marjorie jump feet first into a strange town of guns and civic corruption in a complicated effort to save Sam from prison or worse. Seattle PR executive Michael Tanner and his wife, Mary Whitney, sail the Apostle Islands of Northern Wisconsin. A tale of greed, old and new murder, logging history, and local color bring the power of Lake Superior front and center. © 2005-17 by Carl Brookins.